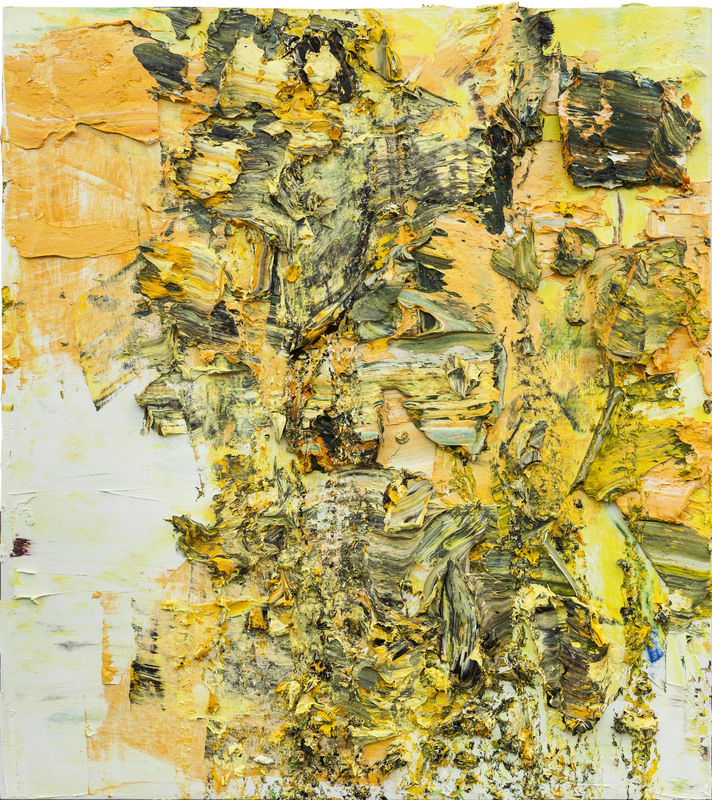 When the histories of recent Chinese and European art are written it is certain that Zhu Jinshi will feature in both. This is a rare honour and just one of the signs of his importance as an artist. Zhu Jinshi was part of The Stars group, arguably the first contemporary art group in China which exhibited at the National Gallery in Beijing in 1980; and also one of the featured artists in the first Guangzhou Triennale, in 2002, the seminal exhibition which brought together the most important Chinese contemporary artists. But he is also part of that group of Chinese artists who left China in the 80s – in his case to Germany on a DAAD scholarship – and whose exhibition history includes shows in the west. He appeared in numerous one person and mixed shows in Germany through the 90s and is now very visible in western collections from Deutsche Bank to the important Rubell Family Collection in Miami. This exhibition at Pearl Lam Galleries Singapore shows not only how powerful but just how adventurous an artist he has been and continues to be, unsettling our expectations and assumptions and also challenging his own. In ‘Master of Walking’, the viewer is offered an extraordinary and virtuoso version of an ink scroll painting – yet it is oil on canvas; there is a wonderful triptych ‘Li Bai Falling Down Yueyang Tower’ which seems to engage with the traditions of European/US abstraction but its title refers to the tradition of Chinese Li Bai painting; and the installation ‘We are working’, which shows marks of his engagement with the installation work that he encountered in Germany in the 80s, yet is nevertheless made of rice paper and plays (as does ‘Master Walking’) with the black marks on white paper of the Chinese ink tradition. 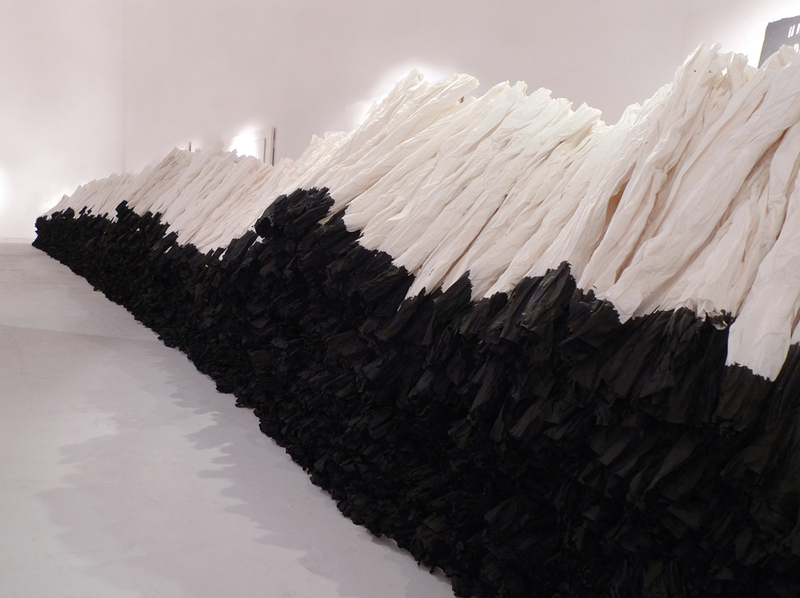 Zhu Jinshi is not an either/or artist but a not only/but also one. Zhu Jinshi was born in Beijing in 1954 and his art education was marked by the Cultural Revolution – or rather cancelled by it. He benefited from the opening up of China that came after 1976 and the death of Mao Zedong (there were so many more translations of foreign work in the ten years after the death of Mao Zedong than in the previous 30 years) and began to make figurative work that was indebted to the work of André Derain and others. In 1980, he read Kandinsky, one of those artists/writers translated into Chinese, and over a period of time moved into abstraction, which it is vital to remember was a distinctly uncomfortable kind of work in 80s China. For the avant-gardists abstraction could seem simply too traditional (after all Chinese calligraphy can seem a form of abstraction) and for the entrenched supporters of socialist realism it smacked too much of bourgeois deviationism. Perhaps of all the important artists of his generation who left China in the 1980s, Zhu Jinshi is the one who was most clearly marked by his move to another country and culture. It was in Germany that Zhu Jinshi first encountered the work of Joseph Beuys, Carl Andre and Arte Povera amongst others; conceptual and performance work seemed much more central in Germany than did abstract painting. For a short time he stopped painting all together and began to make installations and performances. Yet what he was doing was using contemporary Western art languages to find the contemporary possibilities in the cultural resources and materials of China. Consider the title of one of his works during this period, ‘Chinese dumpling action device’ – and his use of material, from rice paper to soya sauce. 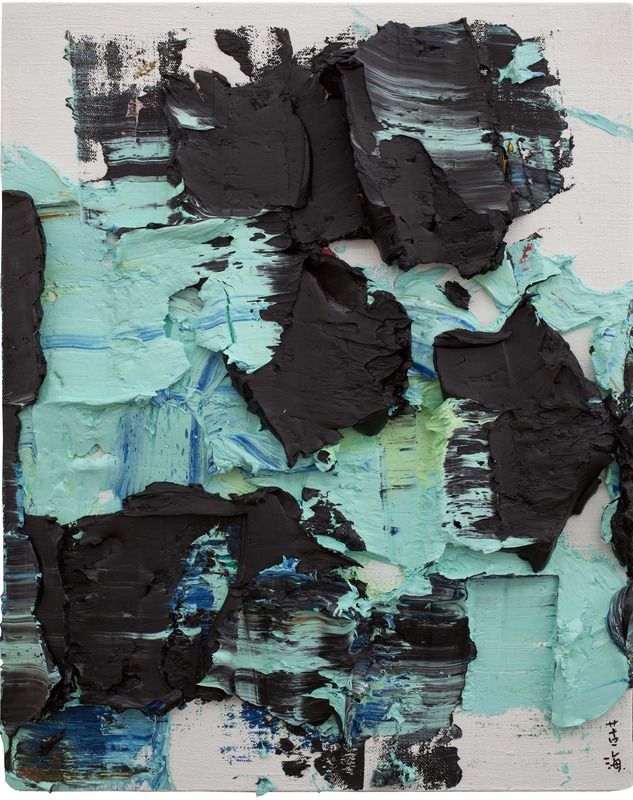 Zhu Jinshi is an entirely contemporary artist. Stand in front of one of his paintings in the Singapore gallery and you will encounter a life-size object, comprising paint built up to an arresting and formidable depth. These paintings seem less a reflection on life than an attempt to produce an object that has the dimension and weight of a life lived in the body. These paintings matter, as I have suggested, for a variety of reasons. But above all they matter because they stand against a pixelated world. These paintings are the incarnation of Zhu Jinshi’s encounter with the world, his attempt to capture the encounter between his own subjectivity and his experience of the world in the form of paint. Traditionally abstract painting has often been seen as the repository of religious or spiritual feelings. Zhu Jinshi’s paintings are part of that ‘spiritual’ tradition, restoring to our experience of life a sense of its multi-dimensionality. For this artist, music matters a great deal and sometimes on the back of paintings he will note music to which he has been listening. The American poet TS Eliot tried in his famous poem ‘Four Quartets’ to understand how music could speak spiritually. I copy part of the poem below which seems to me to be an eloquent commentary on what Zhu Jinshi is doing in his rather remarkable paintings and installations which like many important works aspire to the condition of music.